Finding you in that room changed my life and stirred my soul. You had been waiting a long time when the librarian showed me back to a large public meeting room and opened the door. There were some large colorized prints of the neighborhood places hanging on the wall, you were featured in one of the images. It was the coolest thing I had ever found. I wish we could have reconnected sooner. You were tragically taken from us in 1986 when you were only 72 (I was just 9). I was resigned to live out my life without meeting up with you again, but this was not to be. The image of you sitting there drew me in immediately. I recognized the style of the cowboy hat and your ever-present overalls. The “colorized” print that I found on the wall of the Kendall Whittier library in Tulsa. The original print was in the archives on site. It was approximately 9x14”. That day, I was working for the Oklahoma Main Street Program providing historic preservation and architectural assistance in Tulsa’s oldest commercial district called Kendall Whittier Main Street (they were recently named the “One to Watch” at this year’s Great American Main Street Awards, by the way). The local program manager suggested we walk across the street from the Historic Circle Cinema and visit the Whittier Square Public Library to see if they had any old photos of the area. Even though I had only been on the job for about a year as a preservation architect, I already knew that when old buildings have been radically altered over the years or covered by metal slip-covers, my ability to provide advice is sometimes contingent on finding good historic photos from before the changes. We were on one such mission. 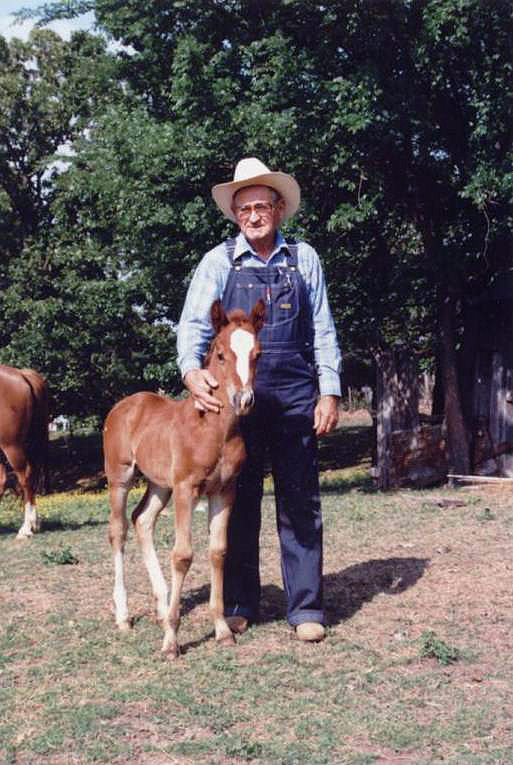 Papaw with his horse Socks. This is how I remember him. Our time together always had a purpose. In my earliest memories, I remember hearing our screen door slam and you would announce “where’s my boy and girl?” We would run to greet you. My sister Lacey and I loved being swooped up and carried off to spend some special time with you. Mom loved this too! The times were tough when you lived in Tulsa. The Great Depression was still winding down. Were you two lovebirds just off seeking an adventure? Did the availability of work lead you to Tulsa? Work brought me to the same place - even the very same neighborhood to find you again - although I was perhaps a little older than you were when I found your picture. Times were indeed different, but I think our hearts’ were motivated by much the same things. My Grandparents after moving back to Cameron, Oklahoma. I too was living in Tulsa, but the Great Recession that began in 2008 soon led me to move to Oklahoma City where work as an architectural associate (intern) was slightly more abundant. I met my wife when I was about the same age, before being hired at Oklahoma Main Street in 2011. This year also marked my wedding with my wife. I found you the following year waiting for me back in Tulsa. In the picture, you seem poised to continue our earlier conversations - this time man-to-man. It was good to see you again. 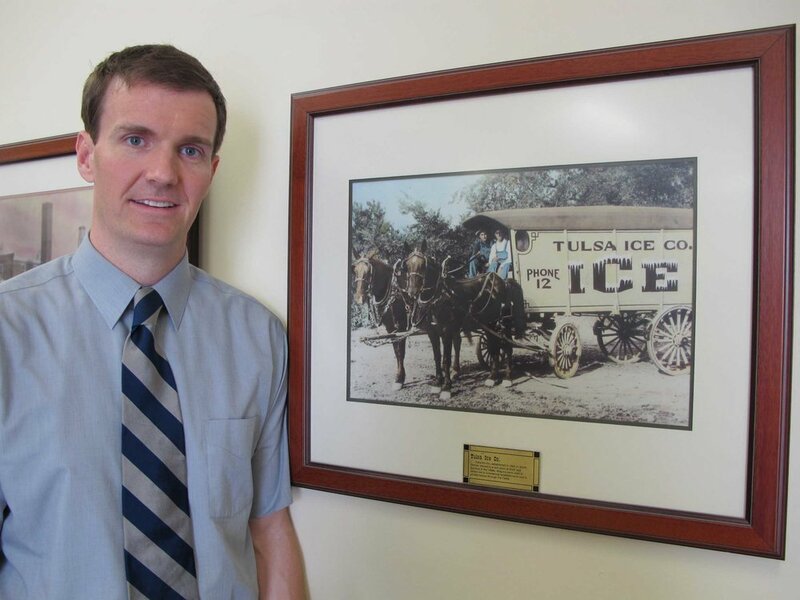 Image I found of two men in a Tulsa Ice Co. wagon (Circa 1936). The man on the left is my Grandfather Clyde Morris. An interview is a two-way street. It is a place to find out what each party presents as their “why” and discovers if they can get there together. It is about finding a win-win strategy. It is about finding respect, having courage, and being open to new opportunities. Interviews have the potential to shape and change life’s direction. After discovering this picture, I received permission from the library for the original print to be professionally scanned at a nearby art & frame store and then paid a professional photographer for some light restoration work to the digital image. It was so much fun to share this image with my family. Everyone loved Papaw. He was described by many as the kind of man that would “give you the shirt off his back.” He was gentle, kind and hard-working. While thinking about the emotions surrounding this image, I have been overtaken with pride. Finding and reconnecting with him has given me greater faith in my life’s purpose. It has helped reveal that the work that I do - formerly with Oklahoma Main Street Program and presently with Colorado Main Street Program - is exactly what I was destined for. Even though we are separated by generations in time, my resolve is stronger because of the places we have experienced together. The truth is that Main Street places have a history for us all to discover if we are open to being interviewed by The Past. Understanding our shared history and discovering our own legacy unities us in purpose. We become more closely tied to our roots and are sanctified through our time in these interviews. Papaw, our time together always has a purpose. I step up to the box with you. You hold the reins, and we talk. I believe that God gave us this special relationship in life so we would have this opportunity to ride side-by-side, overcome the single dimension of the past and free us both from still-life. Please share and subscribe to Green Heart Town! This was taken several years before my Grandfather was employed. ArchiTalks is a collaboration of practicing architects that blog from all across the world. One day each month, we post on the SAME topic on the SAME day. We hope this can give you more insight into the multi-dimensional field of architecture. This month’s lead is Eric Falkner, and he asked for reflections on "My First Interview." I started off by considering what an interview is and in what manner it could be conducted. Could an interview happen over a period of time? Considering that I think of my late-Grandfather Clyde Morris almost every day, I believe that an interview with The Past is a dialogue worth examining. The spirit of this type of interview might be like finding a spring eternal for us all - certainly if our loved ones are watching over us as I hope. To see how the other architects responded to our "My First Interview" theme, follow the links below.